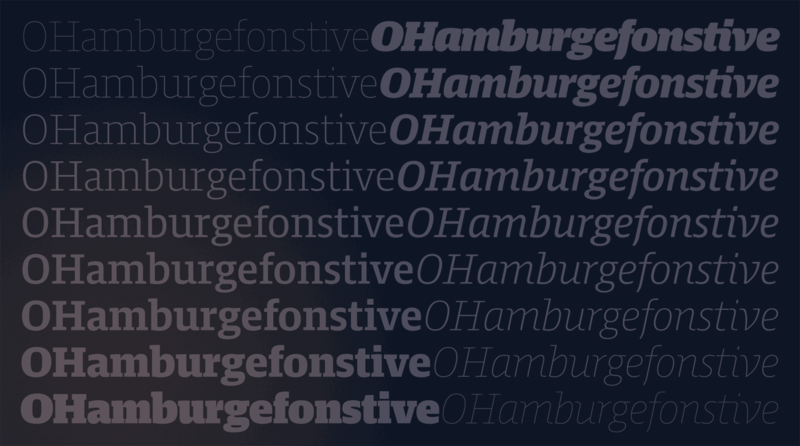 A modern slab serif that ranges between capable and casual is the latest release of Jakob Runge and Lisa Fischbach. 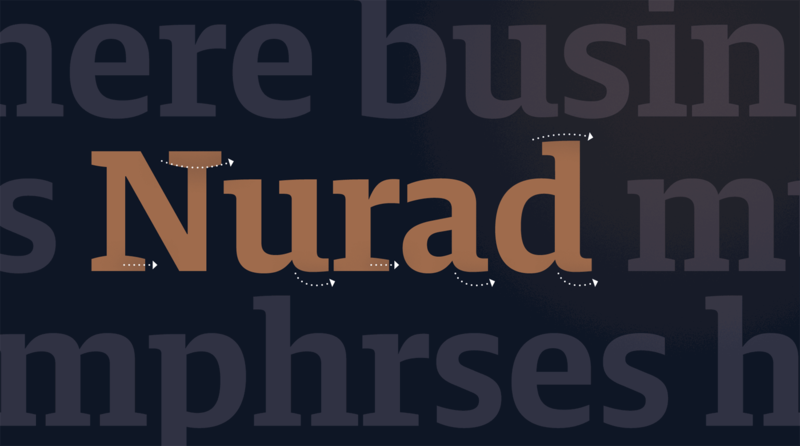 The friendly appeal: Slightly caved bracketed serifs (n), smooth tails (a, u, d) plus really extended serifs in N and r to improve legibility and personality. The mechanical aspect: Emphasised horizontal serifs (n), open terminals (a, e) plus angular counter shapes (o). 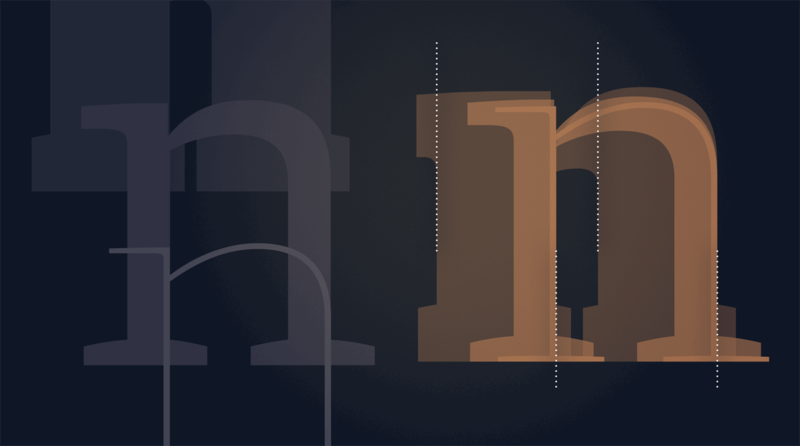 Harrison Serif was drawn for long form reading on screens and user interfaces, but the typeface’s more refined details come alive in high-resolution media and print. The almost mechanical vertical terminals, open counters and modest capitals combine with Harrison’s generous x-height to ensure the typeface holds up on screen. With improved ClearType hinting and a sturdy physique, no medium is a worry for this serif typeface. One unorthodox feature is how this otherwise slabby typeface plays with being a sans serif. 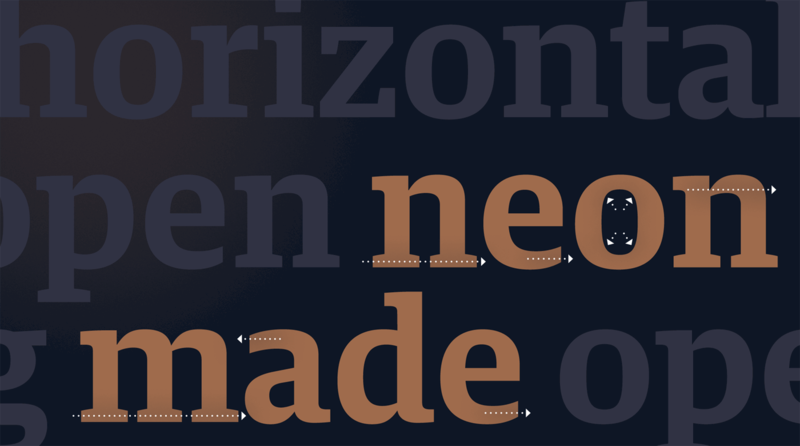 Implemented to improve readability and smooth text colour, this adds extra distinction to Harrison Serif. This sometimes sans-ness is also visible in the figures and the currency symbols. For uses that require a more classic approach, the stylistic alternates can provide a serifed c and s.
All of the weights are based on the concept of weight growth that Adrian Frutiger developed in his groundbreaking Univers ( shown in: Adrian Frutiger “Typefaces: The Complete Works” page 93 ) Consequently, the letters and shapes of the complete Harrison family expand and contract in a rational and systematic manner. Nine weights, from hairline to ultra black, define Harrison’s extensive design space. While gaining weight, the distance from inner counter to outer stem remains constant, keeping a harmony between the growth of width and weight. Harrison explores nuance in its italics. Something between true italics and obliques, they range from the cursive to the playful, from the expressive to letters with the sobriety of unpretentious slanted obliques. Where most italics are shaped by their profusion of diagonals and their slant, in Harrison the horizontal is still the prevailing mood. 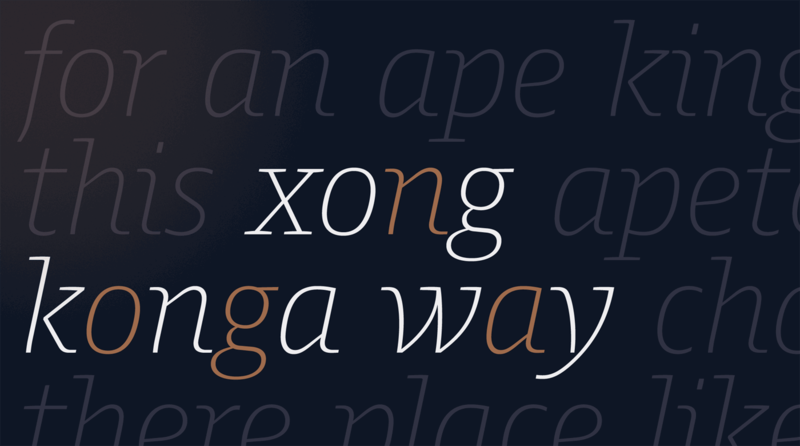 Even playful characters, like the lowercase w, bring boxy and horizontal quality to the lively and handwritten form. Thus the italics strike a balance between the business-like and the distinctive without losing focus on what’s important: differentiation from the roman within the same grey value. 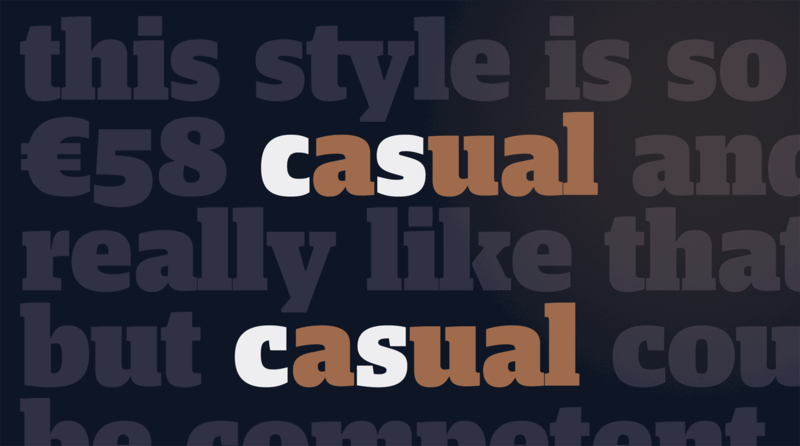 Alone or in combination with the Roman, Harrison’s italic adds character while keeping a low profile. Along with unpretentious slanted oblique characters (g, o, x), the italics include range from cursive shapes (a, k, n) and playful and expressive letters (w, y).